I was suddenly intrigued by it. 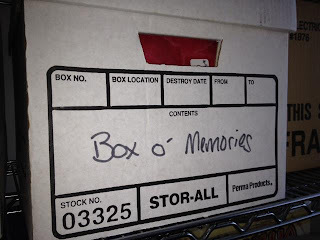 It's my box, presumably with my memories, right? But I haven't seen the inside of that box since... um... I don't know when. I have no idea what is in there, and I wonder what my filtering process was in choosing those items. I wonder, too, what I would put in a similarly-sized box if I were to create one from within my current stage in life. Of course, the obvious solution to some of my questions is to open the box and see... but not today. 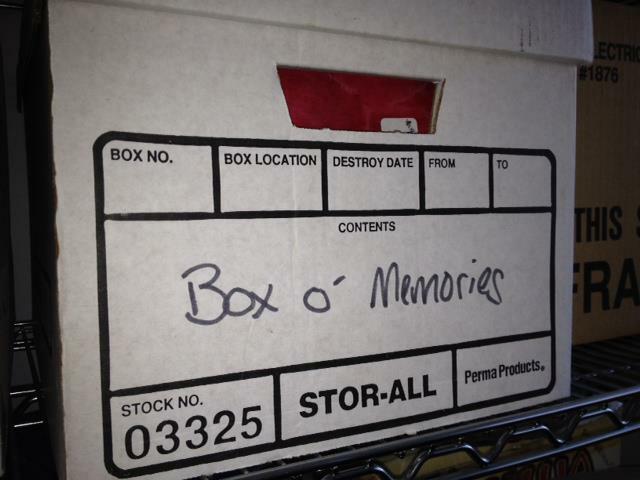 Too much is going on right now, and if this is a good Box o' Memories, I don't want to be rushed through it.